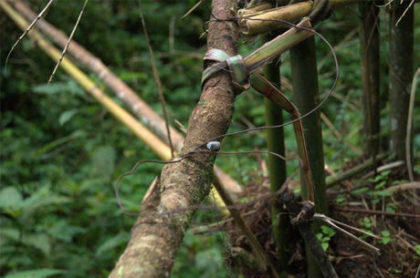 In just four years our Stop the Snares Project has reduced the number of snares in south Bwindi Impenetrable National Park from 800 to virtually zero. This has removed a terrible danger for the last remaining mountain gorillas. It must continue. 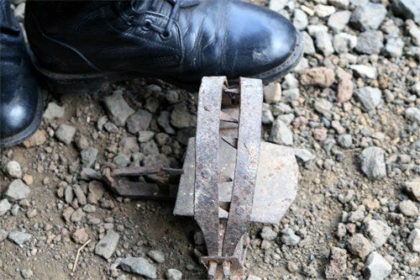 Crude traps are laid on the forest floor by desperately poor poachers to catch bush antelope, pigs and duikers. 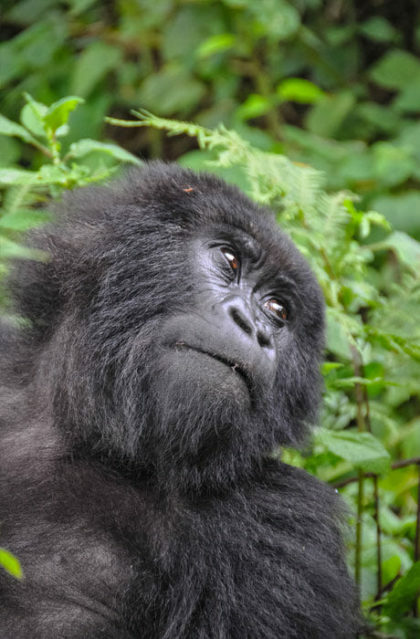 But young mountain gorillas are as inquisitive as toddlers. They don’t see the danger until their wrist or ankle is caught fast by a snare made of rusty clutch wire. The more they struggle to free themselves, the tighter the noose gets, digging into their flesh. Many starve to death or die from blood poisoning and gangrene. Most poachers don’t eat gorillas and they don’t want to catch them – they want to feed their families. Poacher reform commits ex-poachers to farming with sustainable methods for their whole community. They burn their spears and traps in exchange for a piece of land to farm. Their excess produce can be sold, seeds stored for the next season, and their children can at last go to school.